Addiction to substances, whether they are prescription drugs, street drugs or alcohol, can be extremely damaging to your life and your health. Not only can continuing use cause you long term health issues such as liver disease, psychological issues and digestive problems, it can usually cause a deterioration in your quality of life as using drugs or alcohol becomes less about enjoyment or pain relief and more about warding off scary withdrawal symptoms. If you are regularly intoxicated or craving a substance, it can be impossible to live a normal life and hold down a job, too, but even what are known as ‘functioning’ users or alcoholics who do manage to appear to have good family, social and professional lives are taking big risks with their general well being and long term health. 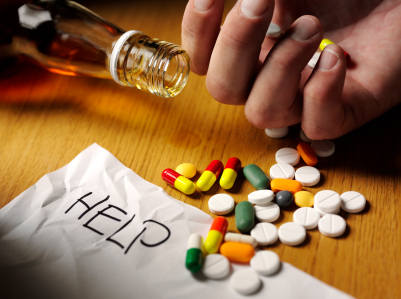 For problems with substance addiction, no matter at what stage they are, it is possible to seek out help by checking in to a professional rehab center where you can undergo a supervised detox that will stop you suffering any painful or life threatening withdrawal symptoms by helping you with medication, and can also help you deal with underlying causes of your issues with drugs or alcohol. Rehab facilities across the nation like Beachway Therapy help thousands of people every year to detox in a safe environment with proper medical supervision, and work through their problems in psychologically proven ways. While rehab is without a doubt the safest and best way to cope with addiction and get started on the path to a life free of drugs or alcohol, some people are worried about starting the process even though they are aware it will better their life. For some the concerns are financial. Rehab is not, in most cases free, but it can often be covered by insurance, so if this is what is troubling you, check out where you stand with your insurance policy and find a center that takes insurance payment. Other people are worried that rehab will take them out of their normal lives for too long, stopping them from working or taking care of their families. The durations of treatment vary depending on your addiction and the protocols of the treatment center you go to, but you can often find a manageable compromise – after all, your work and family life will suffer more long term if you don’t take care of yourself. Other people do intend to go to drug rehab, but keep stalling on it, finding excuses or saying they’ll go ‘after Christmas’ or whatever event is coming up. All the time you delay you’re actually missing out, as most people who go through rehab say they wish more than anything they had done it sooner – you’ll feel healthier, happier and be free from addiction, so why wait for that? Rehab can be a difficult thing to consider but there is little stigma involved anymore, and the success rates are high. If you need it, find a way to make it happen, and as soon as you can!